With over 150 singers, MFC is the largest and most spirited community choir in our city. We first came together in 1984 to celebrate Mississauga's 10th anniversary, and we stayed together to celebrate the joy of singing in a choral community like no other. Our spirited singing springs from our no-audition policy. Everyone who loves to sing is welcome to join us, and audiences hear the joy in every song. Under the leadership of David Ambrose, MFC performs many concerts, raises money for local charities, records professional CDs, holds an annual choral competition and tours the world. ​Mississauga Festival Choir is a community choir that enriches lives through music by way of performance, education and outreach - while valuing excellence in choral music performance, education, spirit: celebration, joy and pleasure, and community engagement. Mississauga Festival Chamber Choir, formed in 2008, is MFC's auditioned branch. This 26-voice choir is made up almost entirely of members from the main choir, and delights audiences with intimate and challenging works of music. MFCC performs an annual concert and serves as an ambassador for the larger group, reaching out to the community in a variety of venues from the Port Credit Library to Hammerson Hall. Founded in 2016, Resonance is the newest member to the MFC family directed by award-winning conductor, Bob Anderson. Resonance is a non-auditioned choir for youth and young adults ages 15 to 28. They have recently performed with the Toronto Symphony, the Mississauga Symphony, A Few Good Men, and the Elmer Isler Singers. For information about our concerts this year visit the Resonance website. 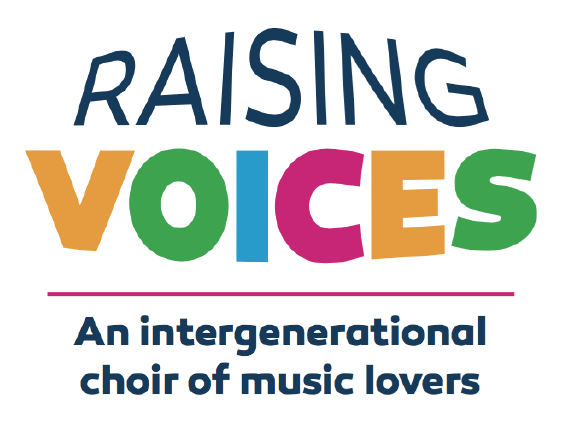 Raising Voices is a choir that includes individuals with dementia including Alzheimer’s Disease, their caregivers, youth volunteers from Cawthra Park Secondary School and Mississauga Festival Choir volunteer mentors. It is offered free to all participants. Raising Voices is an initiative of Mississauga Festival Choir in close cooperation with Alzheimer Society Peel (ASP). An ASP music therapist works closely with MFC staff and volunteers to develop and deliver the program. The choir is conducted by Bob Anderson and comprises eight weekly 75 minute sessions for two terms per year. Professional and volunteer participants facilitate carefully selected music from the broadway and popular music styles geared towards groups of individuals with dementia and their caregivers. ​For more information, please email info@mississaugafestivalchoir.com.